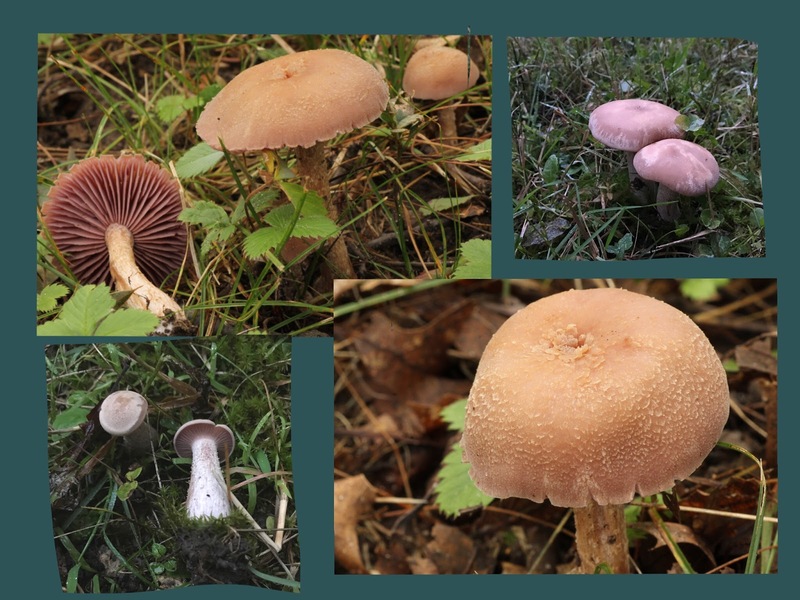 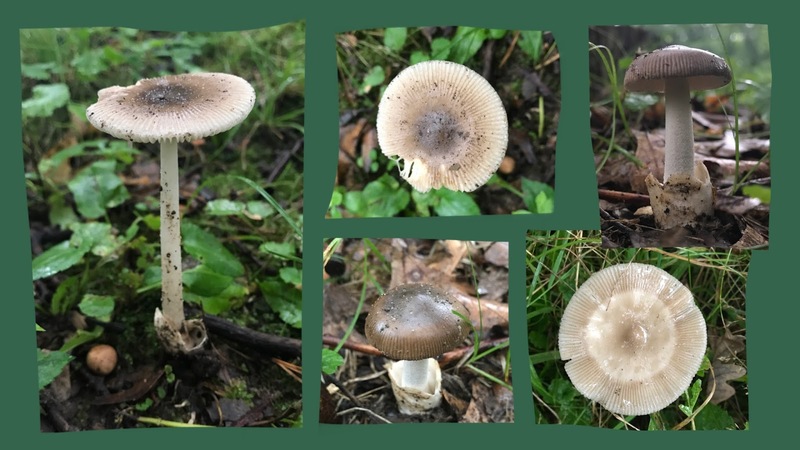 Though this mushroom does show some variation in color, the differences in coloration in these photos is probably more due to differences in the lighting. Bleach-like odor, growing on a well decayed log. 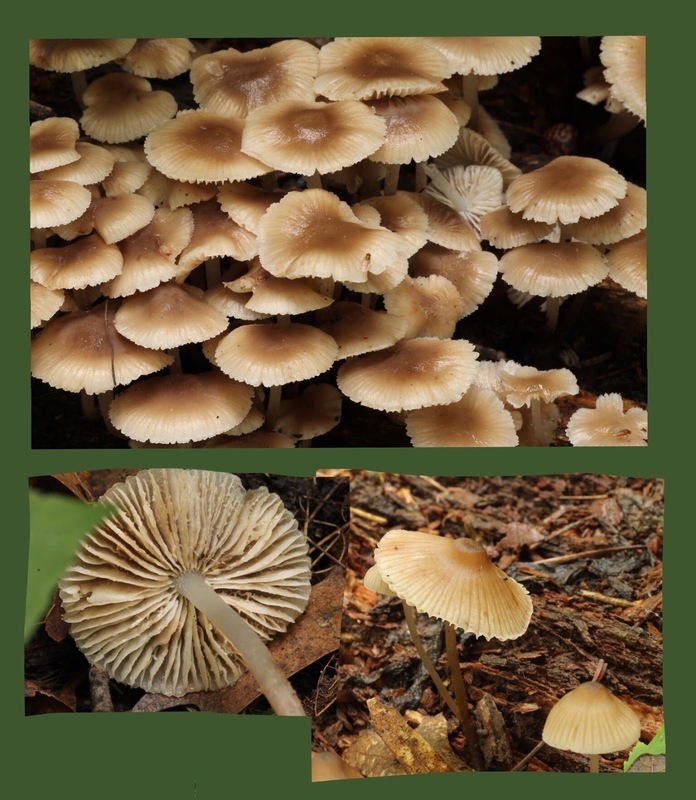 This small mushroom decomposes hardwood debris. Growing under white pines. 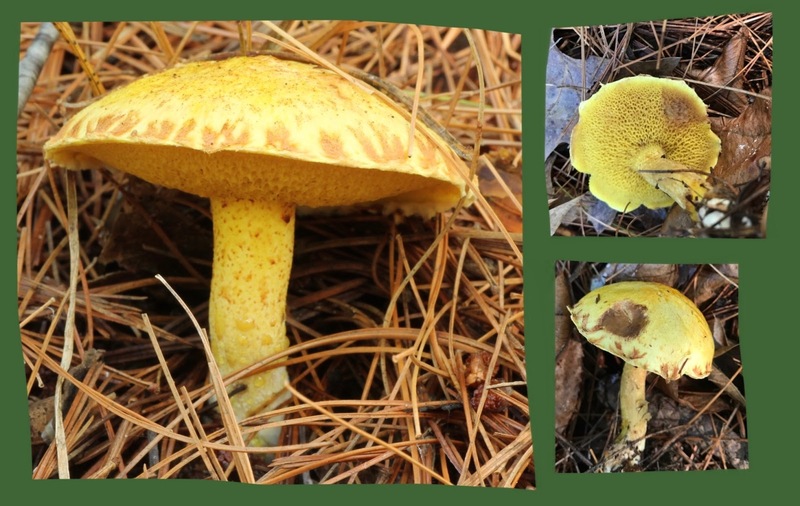 Note the brown coloration that occurs when the mushroom is "bruised". 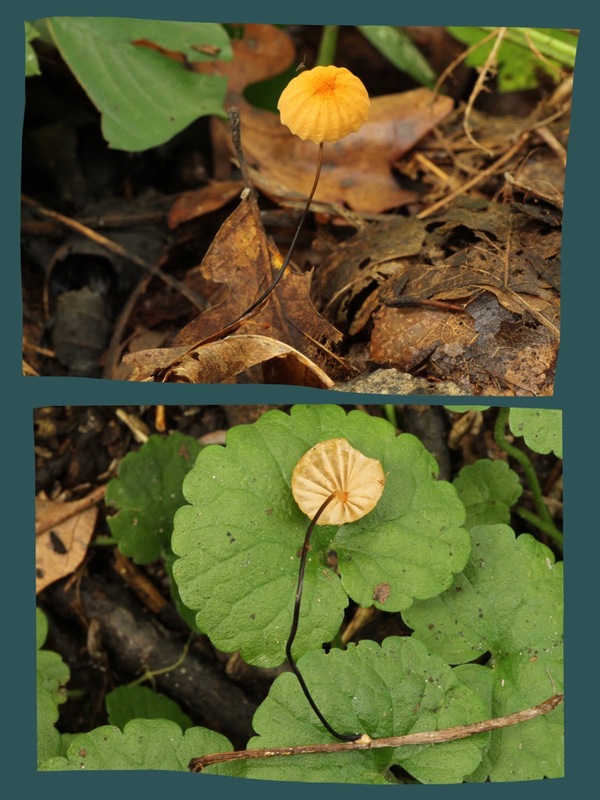 A. vaginata or one of it's many look a likes.